Could it be that the Xbox One is just a huge ploy to sell more Xbox 360’s? The console might not even really exist, and all the horrible press surrounding it are just fabricated to paint a picture that there is no need to jump into the next generation and buy a PlayStation 4. The Xbox 360 is fine enough! 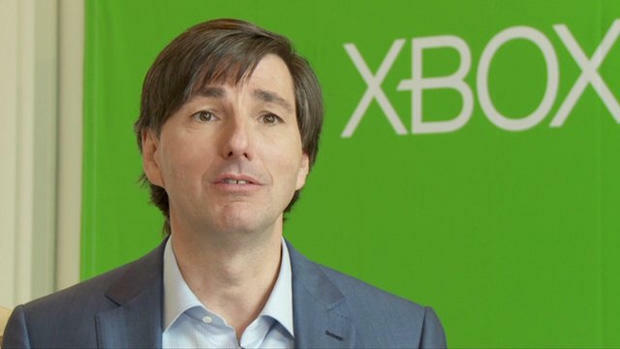 That must be the only explanation because no company spokesperson could possibly have skin thick enough to drop the turkey that Microsoft’s Don Mattrick dropped in an interview with GameTrailers. What hubris! Not only does the guy totally dismiss the concerns of an entire user base, but he also mocks their concerns by suggesting an inferior machine. It happens every time at E3 when one company gets a little too big headed and the walls just come crumbling down. Who can forget the glorious E3 2005? Sony was sporting the best selling console of all time, and three simple digits ruined it all for them. $599! It cost them the lead, and Kaz Hirai suggested gamers get a second job to help pay for the console. Or how about the embarrassing Nintendo E3 2008 press conference. Wii-Mania was at its peak, and it was at the time when we all believed that machine “printed money too!” Nintendo’s grand plan was to get on stage and jump around with Wii-mote, playing imaginary musical instruments like a troupe of Looney Tunes characters. Mainstream and gaming media outlets alike grilled Nintendo for its horrible performance, and Wii sales never picked up after that. No Mr. Mattrick, if I can’t get an Internet connection, I think I’ll just purchase a PlayStation 4 thank you. I was nice to you guys yesterday, Microsoft, and gave you the benefit of the doubt, saying you had a great press conference that stuck to a genius game plan. All I can suggest right now is that you better get a muzzle for these executives of yours because all they are good at these days is selling PlayStation 4’s and Wii U’s. Comments like these (and these) are only going to make the situation worse and ruin the goodwill that conference spared you. To be fair though, he did say that Microsoft does support dialogue on the issue. Only after saying you are letting your imaginations runaway with themselves.